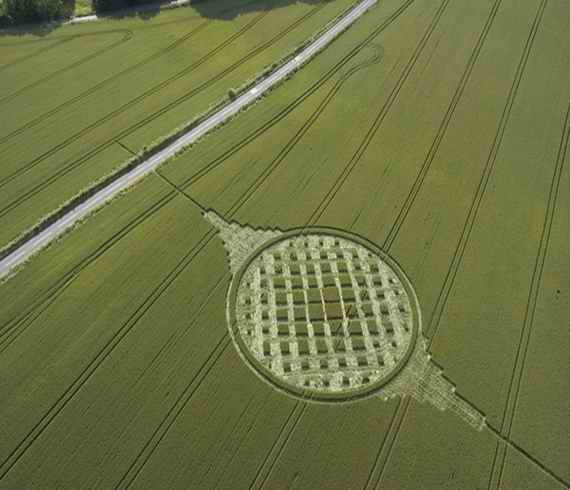 I tried to explain to a Pentecostal Pastor of an Assembly of God church shortly after giving him some thirty crop circles pointing to great passages of scripture in the King James Bible. I was just as surprised as many of you coming from the bottom, what a double cross! There were practically tears coming from seasoned ministers and long term saints, and it was because the spirit they carried knew that they would have to give up their housing to make way for their choice in whom they followed. Most people who are deceived do not know they are, that is the nature of darkness. David was a man after God’s own heart so it is no wonder many of the crop circles point to the Psalms which are Prophetic as well. I said I know what’s going on about God’s plans for the Antichrist, which is to punish the wicked who rejected Christ. He would not let me say my peace. He snapped at me and said, “HE IS GOING TO BURN IN HELL FOREVER” in what I could only discern as a jealous like tone. I was yelled at by an alcoholic throughout my youth and did not need to deal with that ugly demon especially coming from a pastor of all places. He may not drink but he is drunk on something, and your lost loved ones suffer because it is not the HOLY SPIRIT that he is drunk on. The reaction towards me was one of hate and contempt. That was not very Christ-like at all I went to a healing conference the other day and learned forgiveness comes before healing or that if you want healing you need to forgive and get that hate out of you! When I took my stepfather the carpenter to see him, he spoke as if he knew more than me and said pyramids would confuse the congregation??? He spoke for you! I was taught to respect those in authority. I explained God opening my understanding up to the numbers he said in front of my stepfather that God had no hand in placing the numbers in scripture. He knows the stars by name, HE knows the numbers of the hairs on your head HE developed the DNA strand with its many little mechanisms and organic machine parts and HE called men to testify of HIS greatness. However, placing the numbers in the Bible where HE wants them to be, was the nail biter??? In front of my stepfather, I was made to look like a fool I had just turned fifty. I thought Barrack Obama (Obamanation) was the Antichrist after all it was an attempt at false peace. I said in a Church setting, ” I hope he is the Antichrist, I want to shake his hand and wrap my arms around him and thank him for coming my (our) JESUS is next. I don’t care who you are that’s FUNNY! He that began a good work in us is able to complete it FORGIVE your enemy do good to those who do you wrong, embracing the antichrist and forgiving him would be what Jesus would do wouldn’t HE? After all they talk to each other in Job-like they were next door neighbors they were once long time friends. Wouldn’t Jesus forgive him? After all by not doing so, he holds power over you? Who wants the devil to have power over them? I did not get a lot of hugs growing up and I would thank and do thank Jesus for every one of them. Still, we know he would not get into heaven he has been too long the dark. He loves playing Church and not driving a truck. He likes to ride a king already in power sadly he still could not do peace. It is so liberating to be free from hate. I could see so much more clearly, and God said blessed are the pure in heart for they shall see God. There HE was sitting in Egypt all this time as a mockery made in front of the angels of heaven by someone who once called HIM friend. LOL, he built the symbols of the battle all we need to do is pick a side. Father always seek ways to lift HIS SON and truth is always the best way! 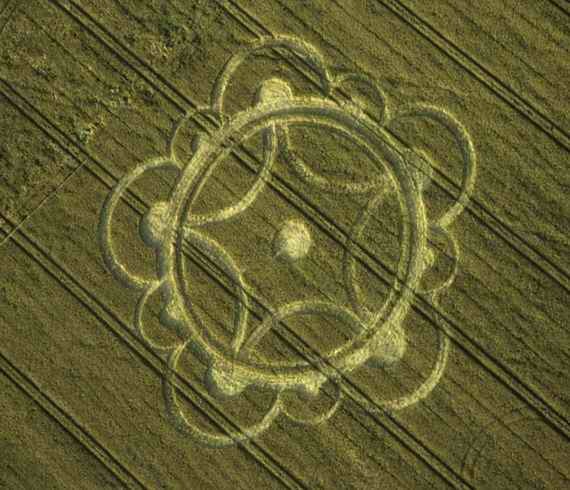 I did all the crop circles by the KJV it was a Dake’s version of the Bible that a dear friend gave me many years ago. That’s the only reason why I did it in that version, I was not even thinking about it. What he put out there made me seek deeper into why he was not excited about giving hope to the lost. I prayed I was troubled and asked God to give me an answer had the harlot gotten to the Assembly of God churches? Not more than a month or two passed after the prayer, the financial teachers who did Dave Ramsey left the church for a friends church. Replacing the ministry came an old Reverend and his wife former acquaintances of the church they were probably called in to help me grow in their knowledge and understanding by this time I had done over two hundred crop circles. They had an outreach of passing out bake goods to the community instead of feeding the hungry and clothing poor in Jesus name they gave out cookies! My answer to prayer had come Pastor and his Treasurer unsaved said God did not need money for revival devil hates to have to give it up treade you your tithe for aq cookie what a deal. I truly appreciate all versions of the Bible it helps to show human error and how the devil works through them to edit it and deceive people with. Those words he eliminated proves what God showed me is right about Lucifer being here on the earth in a body before man arrived. He needs another body, and one of the reasons he wrestled for Moses was because he is so impatient, he gave it away it was going to be a leader of God’s people and clearly after an Exodus WOOHOO! We no longer place guards around our translators like King James of England had done to keep the word as pure as they could at that time. They looked at the word of God as a treasure to be cherished and honored. The scepter of David can be traced through to the Royals of England who accepted Christ as their Savior Peter, and the disciples were given the keys to the kingdom. The Key is that HE is the Christ the Son of the Living God, but the scepter remained with Judah, David’s line. Until God passes the scepter on to its rightful owner. (9) Judah is a lion’s whelp: from the prey, my son, thou art gone up: he stooped down, he couched as a lion, and as an old lion; who shall rouse him up? (10) The sceptre shall not depart from Judah, nor a lawgiver from between his feet, until Shiloh come; and unto him shall the gathering of the people be. Lucifer built the symbols of the battle pick a side. The New World Order begins before man is here. The enemy built the symbols one of these pyramids is not like the others. The son of G-d is no one’s pet and HE will not be mocked. Well, all of your families and lost loved ones would have had the word of God opened up to them and had a better chance of hearing the gospel, had I given the Pentecostal walks with God the crop circles done using the NASB???? Must have been a reason God did not want me too….hmm? My feelings are that the same demons who gave us the NASA gave us the NASB you would have to walk in the light to truly understand that reasoning. The attempts to get back into heaven by denying the truth and the word of God by building towers or rockets to get home. You can only get home through JESUS. Want a revival then honor the word of God, does the creator (Jesus) have to run everything by the clergy? Most of these men have been seduced by the harlot and stand in defense of her joining with her to bear false witness against the Muslims of September 9/11. Because they receive not the love of the truth, God leaves them behind. WORLD TRADE CENTER 7 WAS THE SMOKING GUN! The towers fell in the am and at 5:20:33 pm tower SEVEN SEVEN SEVEN fell, demons did big boo-boo. They were even calling it before it fell saying it collapsed on the news. News copy may have been pre-written? Done 6/20/2005 Stephens Castle. Dr. Steven Jones BYU was right it was an inside job. He was silenced, and then Mitt Romney LDS behind BYU was placed in as a candidate. We know who it is behind it all. These lines wrap around the globe and fall dead center on the Vatican. The true axis of evil who fund it and do it. It’s their money in the Rothschild Banking System. Occupants who failed to go into work that morning or who escaped the demolition of the twin towers mentioned that over the course of several years were being asked to move their offices from one floor to another in order for maintenance/upgrades to be done. On 9/11 the opposite of Genesis 11:9 even the firefighters heard explosions as the towers took a free fall into their own footprint and steel smoldered for days with only jet engine fuel as the catalyst to the devastation. I am being just like Jesus of John 9:11 right now go wash and open your eyes. Dr, Steven Jones a member of a large Church with many members confronted the people who were behind making their NWO that the devils began some 12000 years ago when the war took place in heaven because they had a better idea and human beings suffer because of it!!! The Antichrist will burn forever in hell but he wants his NASB and for me to bow to him before getting what the Word says belongs to me. By collaborating with the enemy to bow down to him before I receive the kingdoms of the earth ,you deny and devalue the SON of GOD’s honor. He is using you to do to me what they did to him. Come join us in our ignorance and offend God with us. The half holy shaping their leader, he once covered the Spirit of the most high God. God wanted to show the creation HIS SON HAS VALUE! Not since Daniel who read the handwriting on the wall whose book unlocks the Revelation he became the third most important person in Babylon the other two were the Father Nebbie and the son Belshazzar. It was Nebbie who made the keen observation of the greatest truth of all and only after he suffered hardship and loss. (36) At the same time my reason returned unto me; and for the glory of my kingdom, mine honour and brightness returned unto me; and my counselors and my lords sought unto me; and I was established in my kingdom, and excellent majesty was added unto me. (37) Now I Nebuchadnezzar praise and extol and honour the King of heaven, all whose works are truth, and his ways judgment: and those that walk in pride he is able to abase. It is not my Fathers voice who seeks to intimidate and offend when you respect my work of pointing to the Christ of creation and honor God’s word we will begin revival and getting the temple built but the devil says no, I want to see power. God did not lie to him it is because of Jesus the SON that all of this exists, he kept saying if you have seen ME you have seen my SON we are one. He wanted to be like the most high to speak out and create like God, but to know God you must know the SON you cannot know God without HIM. He does not like the idea of having to carry a truck driver while I point to the KING of creation and say look what JESUS is doing for me he would rather have a better reason than seeing his sin in Egypt. Do something just don’t tell people about the word or truth. The devils do the chaos to bring in the order and while at it make a little profit in the war they created. Their power is death and destruction occasionally the healing and the answered prayer through some dead saint keeping Jesus from being number one in their life. Obamanation the 700 billion dollar man a type of antichrist siding with liars and deceivers failed to bring the peace plan. I saw the plan the moment I realized what the devil was hiding and why! 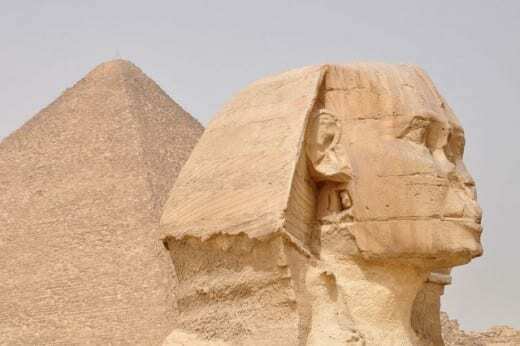 Forget about that in Egypt already and what the clergy did to get Rome in Power in America, Their is much more pressing things that need to be addressed rather than have that word opened up and read by millions. He is probably waiting to hear from God and what to do next? 5 x 15 =75 Psalm 75:1-10 I’m number 2 and not the smelly kind! 6 x 18 = 108 Psalm 108:1-13 the Jews will need to hide somewhere when the AG Antichrist takes over Psalm 108:8. 7 x 21 = 147 Psalm 147:1-20 This Psalm does not need an explanation 777 is his reign in the earth but seeing how Pentecostal’s like laying on their back rather than standing on God’s word I used verse 2 from 75 and 8 from 108 that adds to 10 Psalm 147:10. I heard the Pastor say often I know God, I know what God want’s yet I am still waiting?!? What does God want? Tell us don’t just say you know, use your words! Does he want us to continue hiding HIS word from the world like you have been doing and supporting murderers of 9/11 who now oddly have possession of a Protestant nation? So I can see why I would be a threat to so many the devil is equally disappointed. Consider the company you keep I think God would really rejoice if I could tell people the truth about what is going on. Someone wants to remain hidden and unexposed and unchallenged. For those who may continue to reject Christ, I will at some point give you my best impression of a soul tormented in hell using the most painful voice and wimper I can muster while continually shouting at the top of my lungs I am sorry please forgive me, let me out please let me out I’ll be good. The problem is you had a great number of chances and God looked into your heart and said you will never accept him. The demons hate the name of Jesus and they will keep a distance to those who sing praises to the name of Christ, here many people do stay away from Christ, so yes the demons will back off in hell at the praising of HIS name. I would rather start learning those songs now even get on board the starship resurrection. Take it from me life is forever.